It's inspiring how women can be going through the toughest struggle yet act strong like everything is perfect. Adaeze Igwe-Yobo has shared the story of her struggles as a new mother and it is unbelievable the things she's had to go through. suffered difficulties ranging from insufficient breast milk, Postnatal Depression, lethargy, and the pain resulting from Cesarean Section. 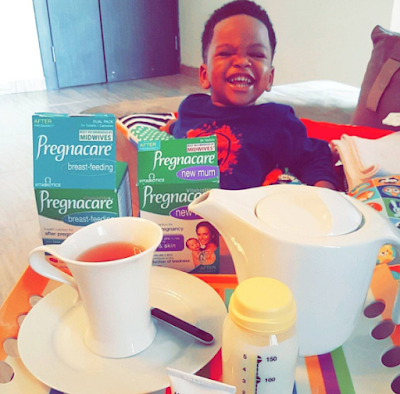 She shared a photo of her grinning second son and a tray containing tea and drugs that help mothers produce breast milk. In the caption, she disclosed that while some women have it easy producing breast milk, it was hard for her. She said her youngest child, who is less than 3 months old, is the only child she has breastfed for this long. With her first son, she had to take a lot of liquid foods, yet could not produce enough breast milk for him. The food made her add weight, the stress to produce enough food for her son made her lethargic, still in all of this, not enough milk was coming and it only compounded her C-section pain. It was so bad that she and her first son cried at some point. She only breastfed him for 3 weeks. With her second son, it was the same and she had to supplement with formula. It's been easier with her daughter though she still has to take Pregnacare to aid milk production. 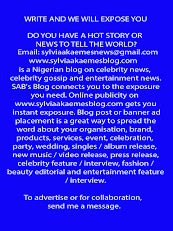 Below is how she told her story.